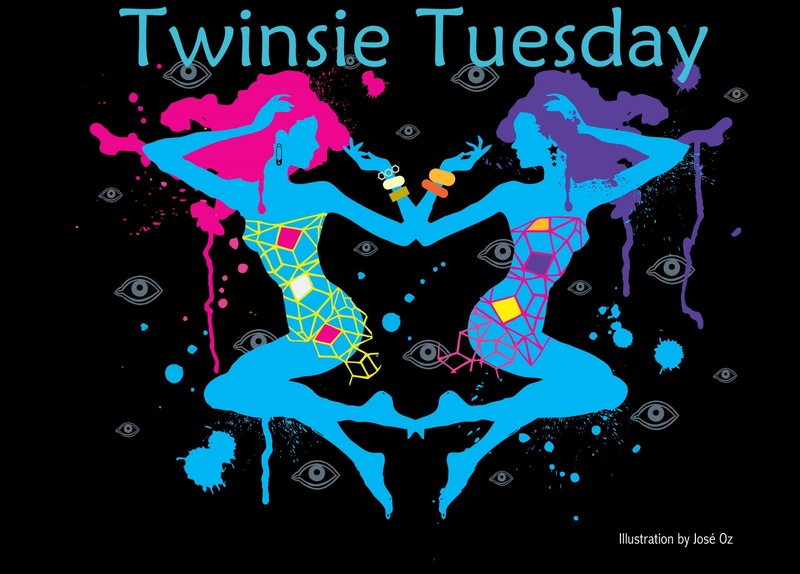 Polish and Charms: Twinsie Tuesday: Thanksgiving! Hello Hello! It's Twinsie Tuesday and as you may have guessed, our theme is Thanksgiving! 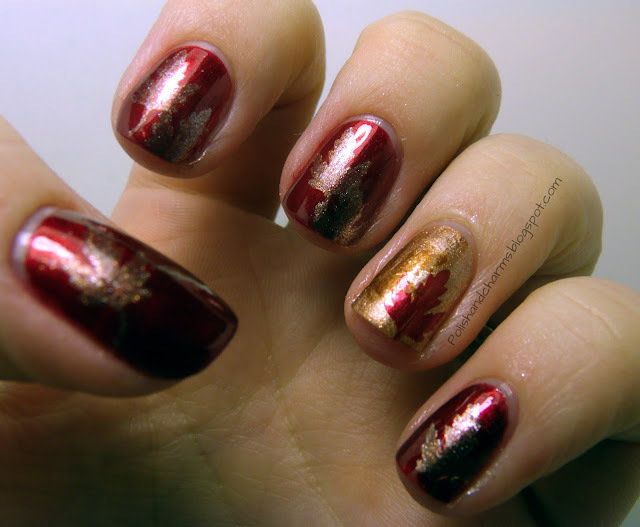 Our challenge this week was to create a Thanksgiving themed manicure. I thought long and hard about how to do this and I just kept going back to some of my favorite Thanksgivings. This was a little hard to translate, but I went with some stamping of some leaves. I chose these because it reminds me of some very fun Thanksgivings, when my cousins were little. We always had leaves in the front yard and we would wait to rake them until Thanksgiving so the little ones (and me) could play in them! I used Cover Girl Forever Festive (from their relaunch), Revlon Fall Mood and Orly Buried Alive. Enjoy! 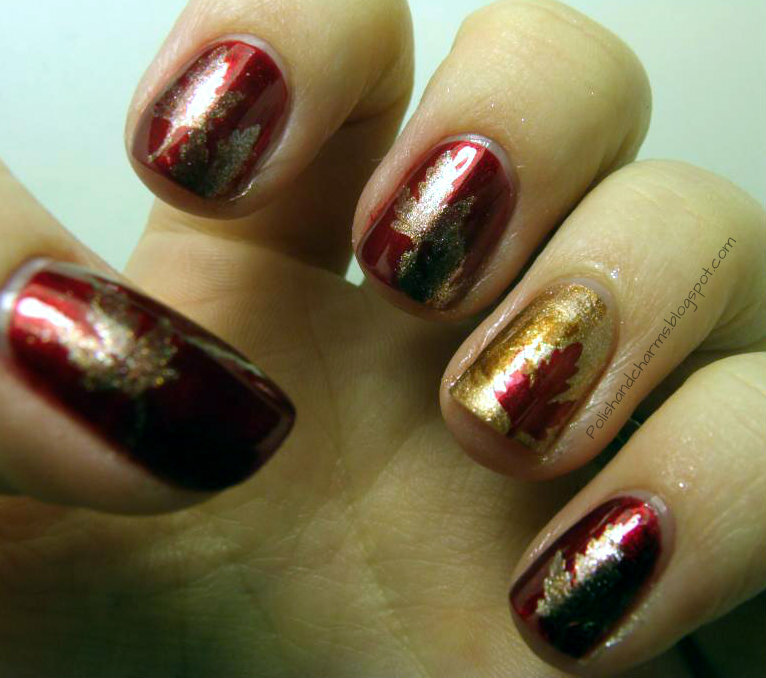 Don't forget to check out the other Thanksgiving themed manicures today! 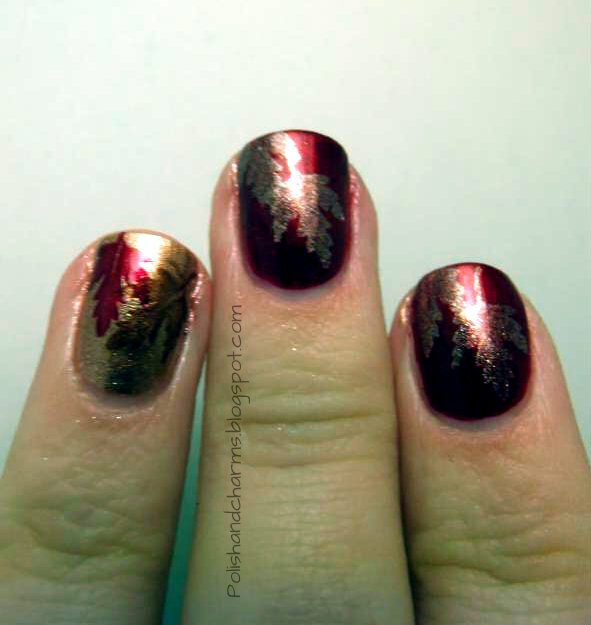 The stamping and the choice of colors are so much fall - looks fantastic! Such a beautiful mani! I love it with the accent! This is so pretty! You did a great job on the stamping! Eow how pretty love these colors together!! Aww, Happy Thanksgiving Meredith! This mani really makes me think of Fall. Beautiful! This actually reminds me of a tablecloth my dad bought for Thanksgiving in 2010. I like it, brings back memories. I love your accent nail! These are really pretty!